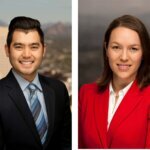 PHOENIX,—Jones, Skelton & Hochuli, PLC is pleased to announce the addition of two associates, Stephen Best and Andrea Logue, expanding the firm to 89 lawyers. Stephen represents construction companies, contractors, subcontractors and design professionals in claims involving construction defect and other general civil litigation matters. Before joining JSH, Stephen gained legal experience by working at a Post-Conviction Clinic as a Rule 38 Certified Student Attorney, as a legal extern for the U.S. Department of Veteran’s Affairs, and as a summer law clerk at a litigation law firm in New Mexico. 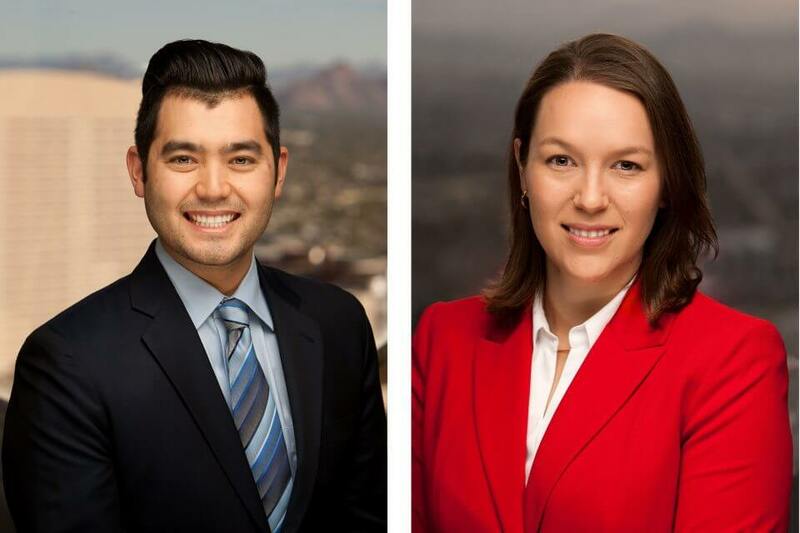 While pursuing his law degree at Arizona State University Sandra Day O’Connor College of Law, Stephen participated in the Willem C. Vis International Commercial Arbitration Moot. In the 2018 Vis East Moot Competition in Hong Kong, his team was one of eight to reach the Quarterfinals, and individually, Stephen achieved a top 10 ranking out of 243 advocates, as well as earned an Honorable Mention for Best Oral Advocate. He earned his B.B.A in Marketing from Texas A&M University. Andie represents health care professionals and entities against claims involving medical malpractice, health care liability, and wrongful death and personal injury. Before joining JSH, Andie gained experience as an associate with a Tucson defense firm, where she represented clients facing medical and legal malpractice claims, including representing clients before the Arizona Board of Dental Examiners. In addition, Andie worked as an assistant professor at the University of Arizona College of Public Health, working with an undergraduate class focused on public health law, administrative law, and the correlation between law and regulation to influence public health policies. While pursuing her J.D. and M.P.H. at the University of Arizona, Andie worked as a legal intern for the Arizona State House of Representatives, and the Center for Disease Control and Prevention, Office of the General Counsel. She gained further public health law experience as a clerk for the Arizona Attorney General’s Education and Health Section, and as a graduate research assistant for the University of Arizona Mel and Enid Zuckerman College of Public Health. She earned her B.A. in Sociology from Gonzaga University.